Ex Machina, in collaboration with the Huron-Wendat Nation, presented The Tempest, by William Shakespeare in Wendake during summer of 2011. This new staging by Robert Lepage was presented at the Wendake amphitheater from July 1st to 30th. The amphitheater is part of an exceptional natural setting near the St. Charles River, 15 minutes from downtown Quebec City. The show brought together native and non-native performers and was presented for one month only. Prospero, former Duke of Milan, was deposed by his brother Antonio and banished with his daughter Miranda on an uncharted island. Drawing on the magic of his books, he commands the elements and mysterious creatures: Ariel, spirit of air, and Caliban, half-savage monster. Ariel leads Prospero’s revenge by generating a storm that causes the sinking of Antonio’s boat, the usurper and Alphonse, the King of Naples. Stranded on the island, they undergo various punitive tests controlled by Prospero, and come out transformed. 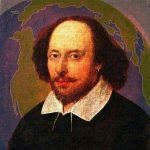 The Tempest is often considered Shakespeare’s will, one of his major works in which the central character, Prospero, embodies and summarizes the philosophy of the greatest playwright in history. Additional information about this production can be found on the Ex Machina website. We form the universidade federal do parana, brasil, very much want to see a few clips of this much talked production. Of course it is very dificult for our group to travel so filmed shakespeare would be a very good solution. I write on behalf of my students.